In today's round-up we take a look at the latest mid-tier addition to HTC's smartphone range (and the premium specs inside it), new DACs from Arcam and Chord Electronics' new streaming modules and amps. 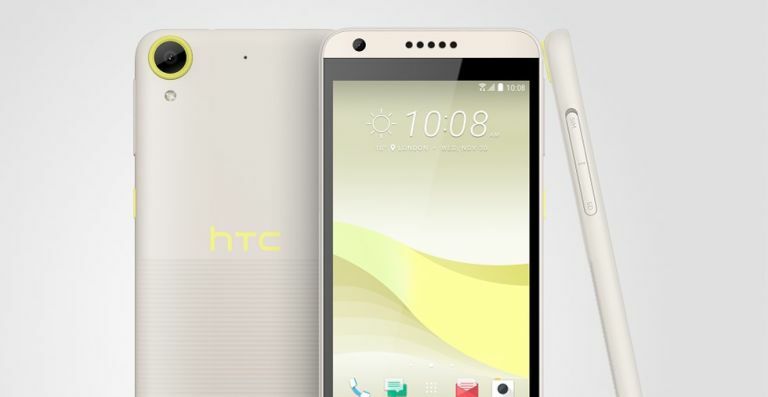 With a planned showcase for three new flagship devices a mere two days away, HTC has surprised us all by announcing another new smartphone - the mid-range Desire 650. The successor to the 630, the Desire 650 might be aiming for a more affordable corner of the market it's still packing some seriously impressive features. Alongside a quad-core Snapdragon 400 processor, the 650 has a sleek 5-inch 720p HD display and a 13-megapixel rear-facing camera (complete with low-light boosting functionality). The HTC Desire 650 will be available from February in Dark Blue and Lime Light colour finishes (see above) - the former will be an O2 exclusive. No word on prices as yet. Audio specialist Arcam has just announced the new rPlay - a music streaming DAC designed to add hi-res music and sounf from a variety of smart sources. The latest addition to the rSeries, the Arcam rPlay offers network audio streaming services and internet radio to any system. Using DTS PlayFi, Apple Airplay and UPnP enabled music sources this is one of the most comprehensive streaming solutions we've seen. It's also compatible with Spotify, TIDAL, Qobuz, Deezer, Pandora, Amazon Prime and more. The device will also be adding in support for Alexa-related devices so you're getting a powerful package that would boost any audio setup. Chord Electronics has just unveiled three new audio products designed to boost your home or work-based music setup. First up there's the second generation revamp of the Hugo 2 - the portable DAC/amp features all-new casework, flexible new features, plus next-generation technical and sonic performance. It'll be available from early 2017 for £1,800. Then there's the new Blu MkII, which is a fulll-size upscaling CD transport that makes your old CDs sound like high-resolution audio. Using its class-leading FPGA-based (Field Programmable Gate Array) custom code, Chord has implemented proprietary upscaling tech into the Blu MkII, taking CD quality audio from 44.1kHz to 768kHz. The Blu MkII is also out in early 2017, priced at £7,995. Finally, there's the Chord Electronics’ Poly brings wireless, network and SD playback to the award-winning Mojo DAC. The revolutionary new network module is set to introduce high-res wireless streaming, SD card and network music playback to Mojo, with both smartphone control and playback for only £499.